For a large number of enthusiasts in the UK, there is no game quite like bingo. Once labelled as a game played by snoopy old women with a penchant for chit-chat, the online bingo game is now considered one which is almost fashionable for those in their 20’s and 30’s. If you would have predicted that 20 years ago, you would have probably been laughed at. Nevertheless, it is a game which has mass appeal. All you need to do is to match the numbers on your bingo card with balls which are drawn by a caller. Online, of course, this is done slightly differently, as random number generators determine which numbers come out. 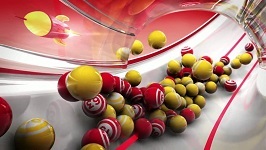 Once the balls have been drawn – and if you complete the required pattern – you win a prize which may end that game. Patterns are typically different within a few hundred games or more. It is essentially a random game of chance. This can be appealing to players who enjoy testing their luck. The top three UK online bingo sites excel in every department and have been around long enough to have established a great reputation and loyal community. With the attention to detail and focus on the full bingo experience the games here feel like you’re at a friend’s bingo themed hen night rather than being sat at a computer. These award-winning UK bingo sites should be your first and last stop when it comes to finding the perfect online bingo hall. If you’ve never played online bingo, you may be intimidated the first time you play. The software is alien, the game doesn’t make much sense, and it all seems far too complicated. The good news is that bingo is a particularly easy game to play once you get the hang of it. It shouldn’t take more than 20 minutes to master the basics. Other factors may cause you to be wary of playing bingo online. Many people are afraid they’ll fall victim to hackers, cheats, identity thieves and rigged games. And, whilst it’s true that some may experience such things, the vast majority doesn’t. The first step that you should take when playing online bingo is to play with a reputable site. Many of the gambling establishments that you see in the high streets (William Hill, William Hill, Gala, …) have their own online bingo games. These sites would be a great place to start playing before moving on to other well-known sites – the names of which you will learn from your fellow players as you get to know them. Because you choose to play with a well-known company, you can be reassured that your details are well looked after and that you are able to make complaints to legislating bodies, like Trading Standards, if you believe that you have become a victim in one way or another. These sites go out of their way to provide state of the art technology because it is in their interests to keep their customers happy, and thus have them return to the site again and again. They want to keep you sweet so they give you incentives for playing, and one such incentive they have to offer are the latest security features. 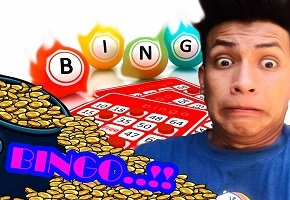 If you simply want to practice playing the game, so that you don’t have to spend any money when you don’t know what you’re doing, then you can play at a free online bingo site. 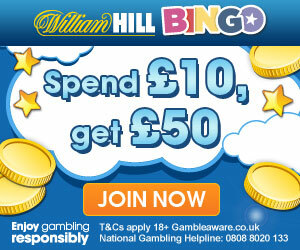 There are dedicated free sites but also most paysites will offer a limited amount of free bingo as well. This way, you can play anonymously without giving out any personal information, such as bank details and name; if they do ask you for your name and address, you can always make it up, they’d never know. The online bingo environment is a great place to socialise and you should make the most of the chat facilities available – there are even special assistants to help you feel at home in the chat rooms. They offer games (in which you can win money) and keep the conversations friendly and enjoyable. It is considered almost rude to talk in a real-life bingo hall, but the opposite is true of online bingo. Additionally, online bingo is great because you don’t have to check the tickets yourself, the software does it all for you with auto-daub technology. Once you know what you are doing, you’ll feel more confident about playing for real money. You will need to set up an account to do so, which can sometimes be fairly long-winded, as the sites ask you to verify your identity by doing such things as providing copies of your utility bills. This is why it is important to play with a reputable company; you don’t want any old person knowing this type of sensitive information. If you’re unsure about which site to play with, do some research online, looking at various review websites to find out which sites are best. Make sure you check out several review sites because some make money by giving positive reviews – searching several sites is a good way of getting a well-rounded view of the sites available to you. Lastly be sure to have a look at our top 3 recommended bingo sites, this is updated regularly depending on the fluctuating reputations of the various top sites, you will not go wrong choosing one of the top listed UK bingo sites. Playing online bingo has become one of the most popular leisure time activities in the United Kingdom. There are now literally thousands of websites where you can play bingo online. Many sites even offer bingo games that you can play for free with no cash deposit or account needed. 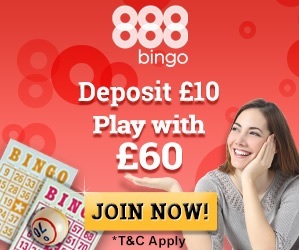 One of the main reasons online bingo is so popular in the United Kingdom, and elsewhere is because you can play any time from the comfort of your own home. If you have a computer and internet access you can play bingo at one of the many online casino websites. Another reason that online bingo is so very popular because it is an inexpensive or even free way to spend your leisure time. Many casinos offer bingo games online for free, and others offer large bonuses for even small deposits into an online account. For a fairly small buy-in, bingo players are offered the opportunity to win large cash prize jackpots. Besides the opportunity to win large sums of cash for a small deposit, there is also a social aspect of playing bingo online. Most casinos also offer bingo chat rooms where you can get to know your fellow players and develop an online relationship with others who share your interest. The game of bingo has actually been around since the mid-1500s and originated in Italy where it is still played weekly. In the 1700s the French aristocracy began playing the game and called it Le Lotto. By the 1800s lottery style games were hugely popular all over Europe and educational variations had been developed to help school children learn multiplication tables, spelling, and other subjects. School children around the world still play bingo in classrooms today. Bingo was brought to America by a travelling carnival where the game was called “Beano” these were the first games where you were allowed to win by getting a full row across horizontally, vertically, or diagonally. A travelling toy salesman Mr Edwin S. Lowe visited a “beano” tent at one of these travelling carnivals and immediately realized the money-making potential of the game. Mr Lowe made his own beano cards and invited some friends over to play. Upon getting a full line of numbers one of his friends yelled out “bingo” instead of beano, and the name stuck. After that, “Lowes Bingo” quickly became a huge success, and by the middle of the 1930s Bingo halls were popping up all over the place. Churches quickly adopted the game as a means of fund-raising to help them through times of financial struggle. After World War II, British soldiers brought the Bingo game back home with them. The game was so popular that commercial bingo operations were set up all over the country after the Betting and Gaming Act of 1960 was established. Throughout the 1960s, 70s, and 80s bingo halls remained a popular form of entertainment and socializing in spite of the introduction of the television. Several forms of entertainment like movie theatres and dance halls were adversely affected with the introduction of the television set to homes, but the brick and mortar bingo halls in the UK have remained wildly popular. Online bingo was first introduced in 1996, on a website called The Bingo Zone. The website was immediately popular, and other online bingo sites were quickly introduced. As more people got internet access in their homes online gaming became more popular. Online bingo is popular with players of all ages and races, but the key demographic of players in the UK seems to be women between the ages of 20 and 25 years old. The latest statistics show that there are more than 3 million online bingo players in the UK alone. These statistics also found that 90% of online bingo players are younger than 50, and 85% of those players are women. Amazingly, in spite of the soaring popularity of online bingo in the UK, only 1% of bingo players in the UK play online! The other 99% of players are still playing bingo in the traditional bingo halls. No wonder there are so many sites to play bingo online…the market has nowhere to go, but up…way up! One of the reasons playing Bingo online is so popular now compared with the traditional brick and mortar bingo halls in the UK is because the game is so easy to play. Even with the different variations of bingo games available all you really have to do is match a line of numbers. The games are inexpensive or even free to play, and the games are fast. Fast games mean more opportunities to win a jackpot prize. The biggest single jackpot prize in the UK is thought to be £1.2 million in 2009. A jackpot that large is rare of course, but players regularly win jackpots ranging anywhere from less than £100 to tens of thousands of pounds. Most online casinos and bingo websites accept more than one form of payment if you decide you want to fund an account, enabling quick deposits and quick withdrawals. Most sites will accept wire transfers, Paypal, cheques, and most major credit cards, but there are other alternatives to fund your account as well. One such alternative payment method is Click2pay. With Click2pay you can use your debit card, credit card, or bank account to fund an account. Setting up an account is quick and your money is available instantly. Ukash is another payment option that is widely accepted by online casinos in the United Kingdom. Purchase your Ukash voucher at one of 1,000’s of retailers and deposit the amount you want to spend on the voucher. This is a great option if you are uncomfortable using your debit or credit card information online and online bingo regulation in the UK is among the strictest and safest in the world. Neteller is another payment option widely accepted by UK online casinos. Neteller can be funded using your debit or credit card or your bank account. You may also fund a Neteller account by wire transfer. Your Neteller account is funded instantly and you can open an account online with just a few clicks. Skrill, formerly known as Moneybookers, is another payment option that is widely accepted. To fund a Skrill account you may use your debit or credit card or through a direct wire transfer. Setting up an account is easy and can be quickly completed online. ECO is another e-wallet service. You can fund an ECO account through your debit or credit card, bank account or by wire transfer from Western Union or Moneygram. An ECO account can be set up quickly online and funded instantly. 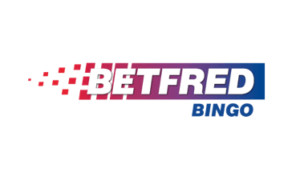 The Paysafecard is another payment method you can use for funding a UK online casino account. The Paysafecard works by purchasing a card from one of the thousands of retailers and placing the amount you want to spend on the card. No bank accounts, credit or debit cards are required to use a Paysafecard. Entropay is a prepaid Visa credit card, and there are no credit checks required because you can only spend the amount funded on the card. Entropay is accepted wherever you can use a Visa card. You can fund your Entropay card via your debit or credit card. ClickandBuy is another popular online payment method. 1,000’s of online retailers accept this method of payment and most online casinos do as well. Funding a ClickandBuy account can be done through your credit or debit card, or by wire transfer. ClickandBuy accounts may also be funded in person through local merchants that accept ClickandBuy payments. Ewire is another payment option that is accepted by many UK online casinos to fund your account for bingo or other games. Ewire is serviced through EnvoyOneClick and is a secure payment method. You can use your debit or credit card to fund your Ewire account and keep all your personal banking information private. Instadebit is another form of payment that many online casinos accept, these accounts only require an email account and a valid bank account. You don’t have to have a credit or debit card to use their services. Usemyservices is another payment option that is accepted by many UK online casinos. Usemyservices offers two different payment options called Usemyfunds and Usemycard. UseMyfunds is linked to your bank account and allows you to pay securely without releasing any of your information. Usemycard is perfect for those who don’t have a credit card or who prefer not to use their credit cards for online purchases. Usemycard allows you to use your bank account to fund your card. Playing bingo online in the UK will probably enjoy its popularity for quite some time to come. There are many online casinos for you to choose from if bingo is a game that you enjoy and you prefer the benefits of online bingo compared to traditional brick and mortar bingo halls. Many casinos offer free games or you can fund an account and be eligible for cash and prizes. Most casinos offer a handsome sign-up bonus if you decide to fund an account with them, and others offer special promotions on a weekly or monthly basis. Playing bingo online is an enjoyable way to spend a few hours, and you never know you may just walk away with a few extra pounds in your pocket. “Bingo” has always been a much-enjoyed game that dates back to the 1600s. In the UK, Bingo has become a classic game in recent decades and has, in fact, been a very large part of the social life of the British people for a great many years before that. The UK is comprised of Great Britain, Northern Ireland, Scotland and Wales but the game itself originated from the Italian lottery, Lo Giuoco del Lotto D’Italia. The game is also known to have been played by the French aristocracy and was known as Le Lotto in France. Later, In Germany, the game was used by school teachers as a teaching aid. Following the conclusion of World War II, British soldiers brought the game back home with them. The popularity of Bingo arose so much that commercial Bingo halls were established in the UK following the Betting and Gaming Act of 1960. In modern times, Bingo is played using tickets or cards that contain numbers on a grid. A typical Bingo ticket contains twenty-seven spaces. The spaces are then arranged in nine columns and in three rows. Each row contains four blank spaces and five numbers. Each column contains one, two, or occasionally, three numbers. In the first column, numbers 1 to 9 is used. The second column uses numbers 10 to 19. The third column uses numbers 20 to 29 and so on through the ninth column, which contains numbers 80 to 90. A “caller” presides over the game and calls out numbers which are randomly drawn. As each number is called, players check for the number on their tickets. If it does, they mark it. When the first player marks off all the numbers required for winning a prize, the player shouts “Bingo!” so the caller can validate the numbers and award a prize. In the late 1960s, 1970s and 1980s, playing Bingo flourished in the UK and became something of a cultural phenomenon in the UK in particular. Much of this is attributed to the impact of television shifting people’s entertainment choices away from more public forms of entertainment. Many dance halls, theatres and movie houses closed, but they became perfect venues for use as Bingo halls where people could have fun and socialize. In recent years, however, UK Bingo halls have suffered. This is in part due to an indoor smoking ban that was passed throughout the UK. Within three months of implementing the ban, five Scottish Bingo halls found the need to close due to a decline in business and further expected declines of 17 to 27%. Online bingo is what we call the game of Bingo played on the Internet. With the increasing availability of high-speed broadband, playing online bingo has quickly become a cultural phenomenon. The online version of Bingo was introduced as early as 1996. Most online bingo websites use a random number generator to ensure that their games are fair and compliant. Some operators require players to download free software to play their games while other operators use technologies that allow immediate play online after registering a player account. Its popularity started in the US and quickly spread to the UK and the rest of the world. The US, Japan and the UK are the three places where online bingo is most popular, with the UK the third largest online bingo market worldwide. Current estimates show that at least 3 million people now play online bingo in the UK. Market research has shown that online bingo is the most popular among women between 20 and 25 years of age. Some recent market research indicates that online bingo seems to be rapidly gaining in popularity among men as well. This market research showed increasing participation from the full spectrum of age groups as well. 90 per cent of online bingo players were found to be below the age of 50 years old, and of these, 85 per cent of players are women. Over time, trends have shown that the popularity of the game is gradually spreading and expanding to other age groups. A few years ago, players under the age of 35 years old accounted for the majority of online bingo players. The current trend, however, is showing that people over the age of 46 years old are participating in the online bingo market in the UK. Why is Online Bingo so Popular in the UK? There are multiple reasons for the immense popularity of online bingo in the UK. For players of the game, immediate access to play and the ability to access play conveniently from home anytime are two of the biggest reasons for its popularity. Since online bingo websites function much like social networking sites, people can still enjoy affiliating and socializing with other people, and with people outside of their everyday social network. online bingo may offer more mental stimulation to players than traditional Bingo hall play, which may hold appeal especially for younger people who have grown up in the Information Age. Not least among the reasons for the popularity of online bingo is the monetary and material incentive associated with prize winnings. For purveyors of the game, there is tremendous opportunity to create revenue both from what players pay and from internet advertising. Before online bingo was launched onto the internet, one had to physically go to a Bingo hall to play. Many more logistics are involved to prepare to play in a Bingo hall, and a greater element of planning and preparation is involved. People like being able to spontaneously engage in Bingo online and many are coming to prefer it. All that is needed is a computer and an internet connection instead of waiting for session times at local Bingo events in town halls. Many online bingo sites are open 24 hours a day so there are always games available whenever one has the time or inclination to play. 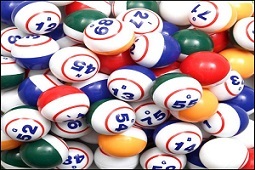 More than a leisure activity, online bingo is a means of socializing and making friends. Almost all online bingo providers host a chat room where players can interact with each other in a friendly and competitive manner. Social networking technologies make this possible. Just like in the traditional Bingo hall, people can still interact socially, exchange their views with others and build potentially more interesting friendships since there is such a wide circle of people to interact with online. For young, very computer literate people, the level of mental stimulation and the pace of the play of online bingo may hold greater appeal than that offered in the traditional Bingo hall. Bingo, though not a complex game, demands concentration and patience. The more tickets played at the same time, the truer this is. While arranging the cards, players have to be quick and intelligent and there is a definite strategy involved to maximize one’s winnings. There are many free online bingo sites that offer free “sandbox play” practice opportunities to players. This has been found to be appealing to both novices and to those serious players who want to increase their winnings. Mega Bingo Prizes and Bingo Bonuses! Online bingo sites are offering quite lucrative prizes. They regularly offer cars, TV’s, laptops, show tickets, weekend breaks and the like as prizes. One online bingo site made news in 2009 by awarding 100 brand new cars over 100 days to celebrate the achievement of giving away £100,000, 000 in prizes. New homes, a holiday home in Europe and new kitchens have also been given away as prizes. In order to be eligible for the most substantial prizes, users are required to fund an account. Free online bingo games are also available that offer players a way to win smaller amounts of money with the lowest amount of risk. Most sites accept a standard range of electronic funding options, and many of them provide incentives to deposit funds like matching bonuses whereby the player will be rewarded by the site reward players by matching a percentage of their deposit. Since online bingo is considered to be a form of gambling, it is regulated by the Gambling Act of 2005 and is governed by the Gambling Commission, which is part of the Department for Culture, Media and Sport. 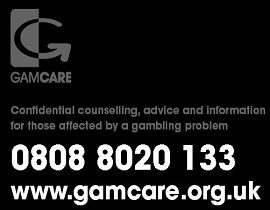 The Gambling Act of 2005 places a premium on gaming fairness, crime prevention within the industry and keeping vulnerable adults and children safe. Since the Remote Online Gaming Tax was set at 15%, it is notable that much revenue is generated that is used to benefit the common good of the people of the UK. So as online bingo expands, the potential to enhance the common good will also expand. With the ever-increasing availability of high-speed broadband and ultra-fast mobile networks, playing Online Bingo has become a cultural phenomenon in the UK. While Online Bingo may seem like a benign form of simple fun, there have been sufficient concerns about the nature of Online Bingo that the UK decided to regulate the game under the Gambling Act of 2005. Current estimates show that more than 3 million people play online bingo in the UK, and currently, there are more than 250 Bingo websites offering the game to UK bingo players. It is estimated that over 600 million pounds are spent annually in the UK for online bingo tickets. Bingo marketers see immense potential for explosive growth in the number of people playing online and see online bingo as a lucrative business opportunity. For players, much of the game’s popularity is attributed to immediate access to play and the ability to access play conveniently from any computer at any time. For younger people especially, online bingo provides more mental stimulation than the traditional form played in Bingo halls because it moves at a much more rapid pace. Between the rapid pace of online bingo and the ability to play more rounds that can be played in the same amount of time in the Bingo hall and the significantly greater winnings involved, many people see the potential for a much bigger return on their investment of time and money as well. Since only one per cent of all Bingo players play online, the UK wanted to put its Gambling Commission in the forefront as the Online Bingo industry was developing to head off potential dangers to citizens. Thus, the UK Gambling Commission, which is part of the Department for Culture, Media and Sport, oversees Online Bingo regulations, was chartered to monitor gaming fairness, prevent crime within the industry, and keep vulnerable adults and children safe. The potential for gaming unfairness was seen from the beginning as quite significant. This is because, in the traditional Bingo hall, there are many eyewitnesses as to how the game is administered. This is not the case when one is interacting with a computer screen and interfacing with a software program. As part of the bingo regulations licensing process, online bingo sites are required to prove that the games they offer are fair and tamper proof. This has prompted most online bingo sites to go to expert software developers and to license their software. Regulators also saw significant potential for credit card fraud with online bingo early on. In the earlier days of Online Bingo in the mid-1990s, credit card fraud and identity theft, in general, were more prevalent than they are today. Nonetheless, since there are so many credit card transactions involved in playing online, the potential for fraud is always a danger. As part of the bingo regulations, bingo sites must show proof that credit card information provided by players is transmitted and stored in a secure manner through encryption and password protection. Defrauding people of their rightful winnings was also seen as a possibility by the crafters of the Gambling Act of 2005. In order to be and stay licensed, online bingo organizations are required to prove that they have sufficient operating funds to operate the Bingo site smoothly. This means they must be able to process withdrawals for player winnings in a timely way, and they must provide full disclosure of the details of terms and conditions of any prizes, promotions and bonuses. From the beginning, online gaming was seen as ripe for “Money laundering”. Money laundering is the process of disguising illegal sources of money so that the money appears to be coming by legal means. While the methods by which money can be “laundered” through criminal exploitation are quite varied, gambling via the internet offered a relatively unprecedented level of sophistication that regulators saw the need to head off. For this reason, gaming organizations are required by law to make their financial records available for inspection at any time, and their financial records are to be audited regularly by auditors who are not part of the organization. The demographics of online bingo players also created concern about the potential dangers involved with online bingo. Of the over 3 million people in the UK who now play online bingo, the game is most popular with young people. While younger people tend to be very computer literate and thrive on the concentration and fast pace offered by Online Bingo, many who want to play are not of legal age. It is also noteworthy that the vast majority of online bingo players are young women. In view of the fact that most online bingo sites also have a chat room to facilitate the social aspect of the game, there is potential for harassment and unwanted solicitation to take place. For this reason, most sites have chat room rules that must be abided by. In the UK, one must be at least 18 years of age to participate in interactive gambling sites. For this reason, the Gambling Commission has put strict guidelines into place so that online bingo organizations must verify player identity. The kind of information online bingo organizations are required to obtain and authenticate under these bingo regulations include name, date and place of birth, a telephone number or email address, and a residence address. The information provided is then subjected to a variety of third-party verification checks. Depending on how the information provided by the player compares to the third party knowledge base, the site will either allow or deny site access. Lastly, online bingo is a game that is easy to become addicted to, particularly in view of how large cash prizes are becoming. Since online bingo provides such high-speed gratification, one of the Commission’s goals is to educate and to try to prevent compulsive gambling. As a result, many bingo sites contain educational material and resource that their players might not otherwise become aware of. Unfortunately, fires aren’t as rare as we’d hope and many bingo halls have burned to the ground. Sometimes, as with Crown Bingo, Bognor Regis, September 2015, live games are interrupted and bingo halls evacuated as fire sweeps through adjoining buildings. Other times, as with Castle Bingo, Cardiff, July 2015, and Walkers Bingo, Derby, February 2008, they burn down in the middle of the night. If you thought the bingo halls were a bastion of clean living (gambling aside), then think again. Investigations carried out by The Sun newspaper found that half of all bingo halls had traces of cocaine in the toilets! That’s right! Next time you’re in a bingo hall, look around at all those innocent faces and remember that all is not as it seems. How fast are those grannies dabbing? Surely, a tell-tale sign! “Handbags at dawn” isn’t exactly a phrase that you’d associated with the bingo hall, but that’s exactly what happened at Gala Bingo, Derby, in March (2016), when police were called to intervene in a 10-person fight. According to sources, a group of older players took offence to a group of younger and rowdier players and a fight ensued. Luckily, there were no arrests. If you ever agree to split your bingo winnings with a friend or relative, make sure you have proof of the arrangement. When one of the three Thomas sisters won £50K at Buckingham Bingo Palace, Liverpool, the other two sisters expected a fair cut of the winnings. When that didn’t happen, they took their sister to court…and won! Yep, because they’d always split their winnings, and had proof of this, the judge awarded the two non-winning siblings £16K each from the winnings, and made the original sister pay their court costs, too! A popular pastime for armed robbers appears to be a spot of bingo, but they aren’t there to play. Nope, with their masks and weapons, they come for the money…and there’s a lot of money to be had! Recent robberies include Mecca Bingo, Halifax, January 2016, and Bristol bingo hall, November 2015. A real sad one now and, as far as we know, has only happened once. It’s the story the Chalifoux children, who were sold for $2 each back in 1948. According to one source, their mother needed the $2 for bingo. In today’s money, that’s about £14. Of course, poverty had a big role to play, and with four children, the cost of living was just too high. Still, £14 for her children and she didn’t even win! So there we have it, six reasons why it might be safer to stick to online bingo and avoid the bingo halls entirely. As far as gambling goes, bingo is by far one of the most popular games around. It’s exciting, fast-paced, and takes relatively little skill – although you do have to be a “dab” hand at…well…er…dabbing, especially if your ambition is to be one of the world’s biggest bingo winners! It’s a great way to relax, have fun, and make a bit of money on the side, but how much money can you actually win? Judging by the following 5 examples, enough to ensure that you have plenty more time to relax, have fun, and gamble, as you enjoy your early retirement. In December 2012, his £5.9m win knocked the previous world record holder, Georgios M, off the top spot for largest online bingo win. John was playing on the Butlers Bingo site when he swooped his life-changing jackpot. 5-years away from retirement, John had been working at the Jobcentre at the time of his win – he even stayed on a little while longer, until the win sunk in. Not much is known about Georgios M, who prefers to keep his win anonymous. Until 2012, Georgios M, who was 36 at the time of his win, had held the title for the world’s biggest online bingo win, but……Guinness World Record doesn’t actually keep track of online bingo winners, so these claims are unverified. What is definitely true is that they won these huge jackpots. What can’t be verified is whether there are people out there that won even more. It’s unlikely that we wouldn’t have heard of them, but you never know. Yes, that’s right; the city of Blackpool bags the 4th slot for biggest bingo winner ever, and that’s just because, compared with other towns in the UK, it’s inordinately lucky. According to mFortune, more people win in Blackpool than in any other UK city. Not only that, but their jackpots are big, too. Big winners include Helen Cooper, who won £500K, and Pamela Headley, who won £100K. At number 5 we’ve listed YOU! OK, so you haven’t hit it big yet, but you certainly could do, and with progressive jackpots reaching astronomically high values, you could quite possibly knock John Orchard off that top spot. Can you do us a favour, though? If you do win, will you contact Guinness World Records and let them know? This lack of record keeping is annoying!